One of the easier runs on the river, this run apparently has some amazing play at higher levels. 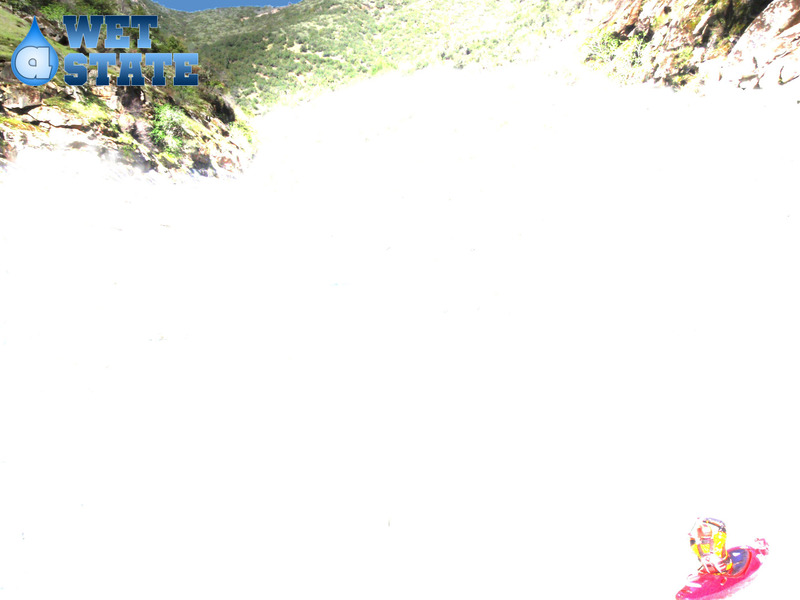 At 540 cfs however the play was lacking, as were the rapids. At higher flows it is more class IV, while at the lower flows we had it was only class III, and easy III at that. In all, it was a pleasant float, but not as good (or as hard) of a class III run as the South American or Trinity. There was a lot of flat water, and a lot of shallow rapids at the low flow. 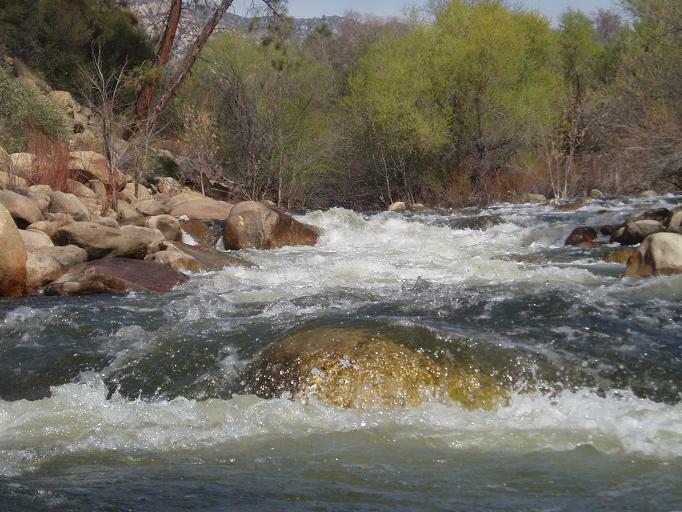 Unlike the up river stretches, this stretch has a wider channel, thus making rapids much shallower in general. Many guide books include the first rapid of this stretch into the Goldledge (or Thunder) runs but the locals name the run beginning here after that rapid and change the name from Camp 3 to Powerhouse to Cables. Anyways, I can imagine that Cables itself gets harder at higher flows, but the rest of the river wouldn’t get all that harder I would imagine. More holes instead of rocks, but still, I think it would maintain an easy IV or hard III nature. Cables (III-). There were a series of boofs which we ran on the left, all read and run. The Wall (III). The river bends left and drops through several holes. The holes were bigger than I expected coming into the rapid. At the low flow it was easy enough to run but I imagine that as the water comes up the rapid becomes harder. Tequila Chute (II+ to III-). The river splits, the left channel has the most water. It is rocky and easy enough to pick a line that works. Powerhouse (II+ to III-). As the powerhouse comes into view, two rapids are all that are left of the run. Both are shallow boulder bars at low water and easy to read and run. Take out: Just before the Powerhouse as you drive out of Kernville, there is a dirt road that leads down to the water. 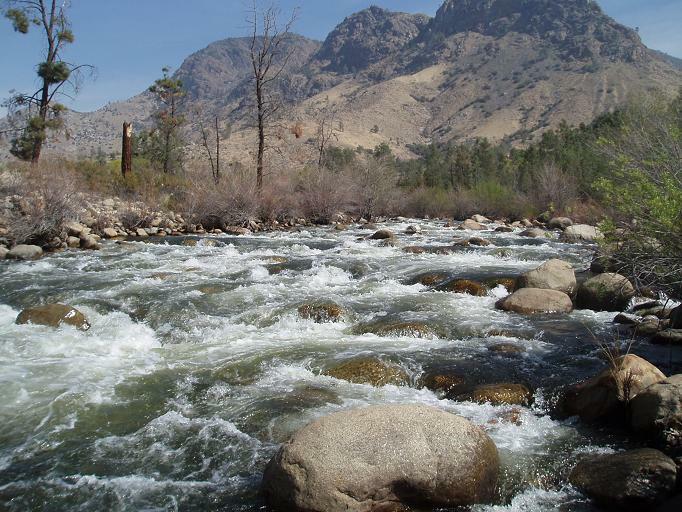 Put in: 4.7 miles past the Kern River Brewery look for Thunderbird camp and day use area on the left.